Research has revealed that parental attachment may be a protective factor against problematic smartphone use. However, few studies have examined the underlying mechanisms that may mediate or moderate this association. 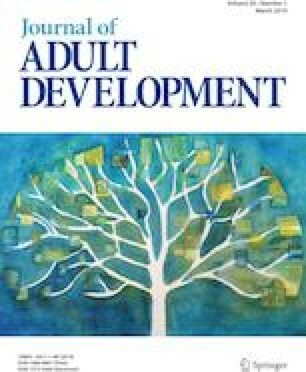 To fill this gap, this study examined the mediating role of interpersonal adaptation and moderating role of self-control in the association between parental attachment and problematic smartphone use. A sample of 764 Chinese young adults completed measures of parental attachment, problematic smartphone use, interpersonal adaptation, and self-control. Results showed that interpersonal adaptation mediated the relationship between parental attachment and problematic smartphone use. Moreover, this mediating effect of interpersonal adaptation between parental attachment and problematic smartphone use was moderated by self-control, with the effect being stronger for individuals with lower self-control. To our knowledge, this was the first study examining how and when parental attachment leads to problematic smartphone use. Limitations and implications of this study are discussed. This study was funded by the Humanity and Social Science Youth foundation of Ministry of Education, China [Grant Number: 18YJC880133]; Special project of “13th Five-Year” planning of Education Science in Jiangsu Province, China [Grant No. C-b/2016/01/23]. Yan Zhang has received research grants from Ministry of Education of China. Tingting Lei has received research grants from Jiangsu Education Science Planning Office. Ding‑liang Tan declare that they have no conflict of interest.